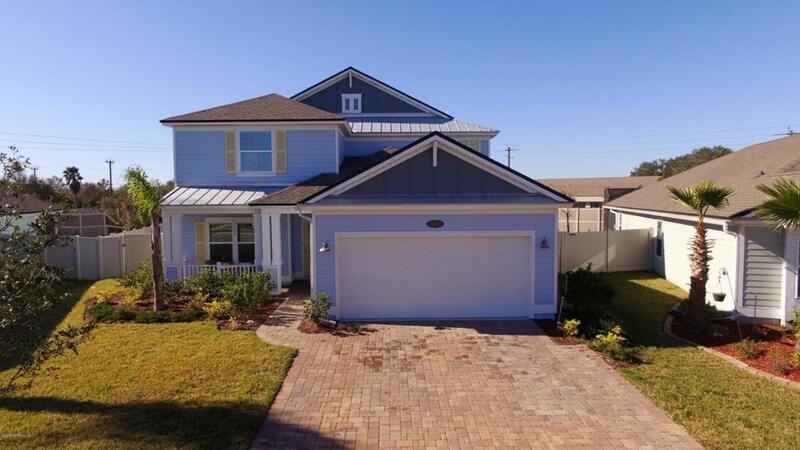 Make your dream of living by the beach a reality in this fabulous home in gated community of Ocean Cay in St Augustine Beach. 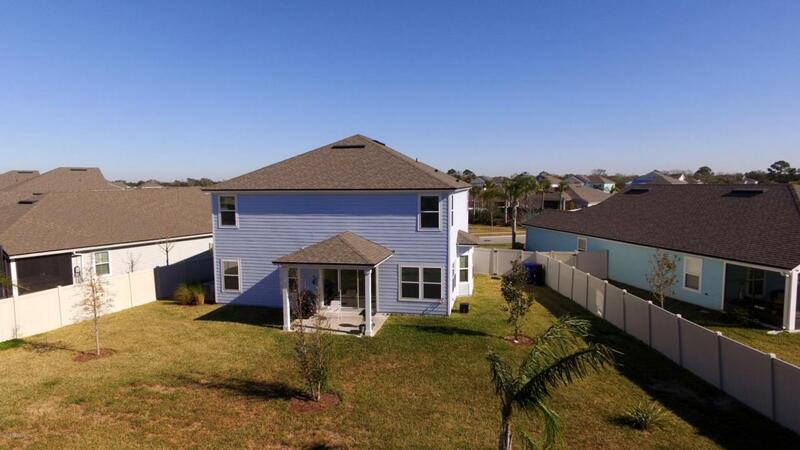 Just a bike ride or quick drive to the beach (only 1.3 miles) this 5 bed/3.5 bath home sits on the largest lot in the neighborhood and boasts nearly 3,000 Sq Ft of living space. A modern open-concept layout makes up the main living area between gourmet kitchen, dining and family room with wood aesthetic tile running throughout. The Kitchen features granite counters, breakfast island, farmer's sink, ss appliances, and abundant storage space. A large Master Suite on the ground level includes huge walk-in closet, garden tub and frame less shower. 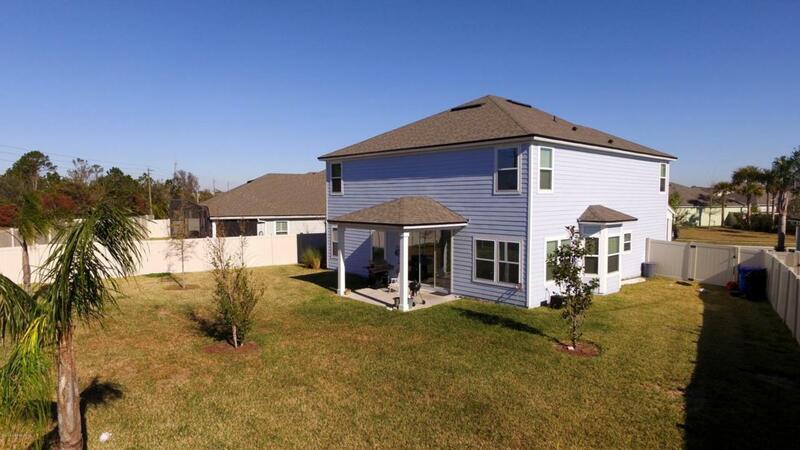 Upstairs are 4 additional large bedrooms and 2 baths providing plenty of room for family or guests. Two laundry spaces!When not at the beach or nearby shops and dining, you can relax on the covered patio or play in the fully fenced yard... there is even room to add a pool. 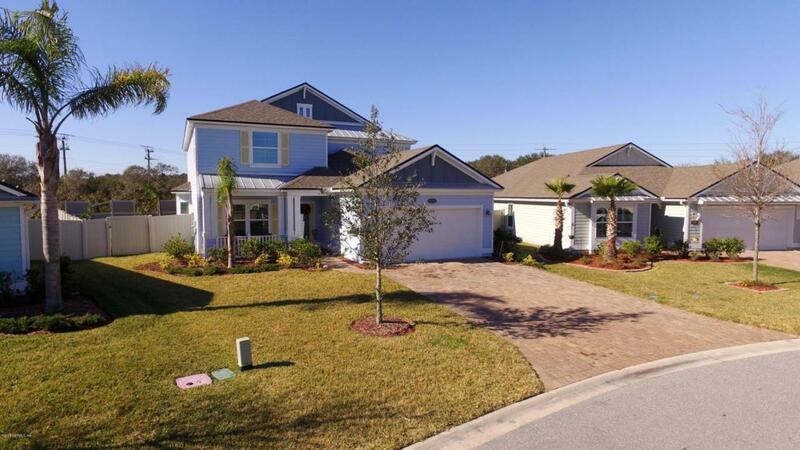 This home by DR Horton is the only 5 bedroom Monterey Model floor plan in the community and the great location in the heart of Anastasia Island makes it ideal for both work and play! Transferable Termite Bond good until 4/30/18!